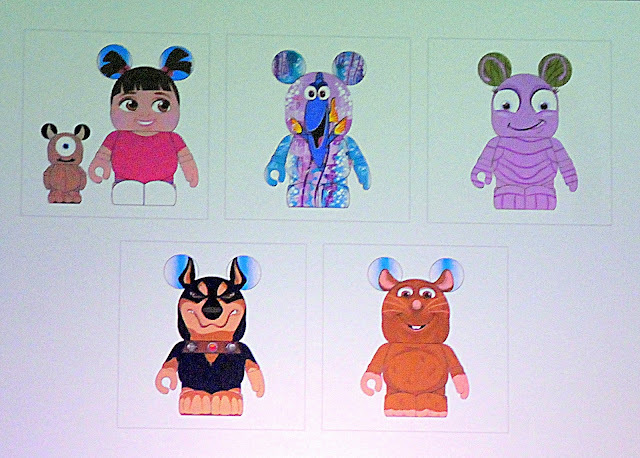 Pixar Series 2 was designed by the Disney Store artists Gerald Mendez and Enrique Pita (as opposed to Series 1, a Disney Design Group set). The series has been reduced to 8 figures in a blind box set. It features Boo and Little Mikey, Dory, Dot, Alpha, Emile, Elastigirl and Mr. Pricklepants and Mystery Chaser. It will be released sometime in 2014. 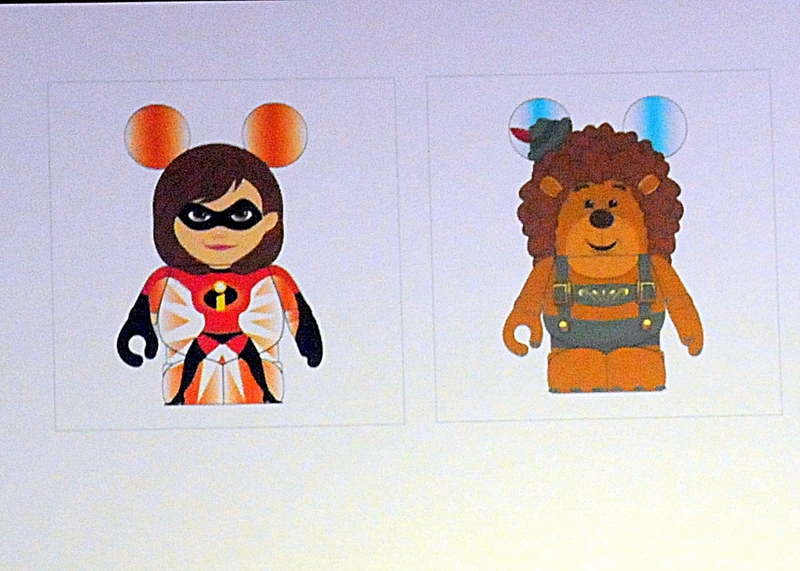 I wish Ron Cohee and the DDG were given this assignment, but these look okay via the artwork we saw. I will have to see them in person to really tell. I do like the idea of Elastigirl. Pricklepant’s hair is like Disco Goofy. Emile and Atta are bland to me, but Alpha looks awesome. Cone of shame accessory??? C’mon, I know they may want to continue the straight arms as with Dug but Alpha would look great with FF arms. Boo/Mikey is just cute and Dory has a cool background. So glad the Store artists got Series 2. I thought series had awful art, but there’s a couple of these I’ll pick up. I can’t stand the character of Dory, but that figure is amazing. anyone notice that princess atta’s eyelashes appear to be extending off the mold? simply for artistic effect – or could that actually be a change to / extension of the mold itself?? Good question. We’ll assume it’s just artistic til we see more info. Nice catch though!